Right now, Vladimir Putin is looking at the world with a big smile on his face knowing he holds the keys to foreign policy. Community members gathered Friday for the first lecture of Great Decisions 2018, which was presented by Sean Kay. He discussed Russia’s foreign policy and its relationship with the United States, with many audience members cautious about the relationship. Kay is a professor in the Department of Politics and Government at Ohio Wesleyan University where he specializes in international politics, international security, international organizations, and U.S. foreign and defense policy. 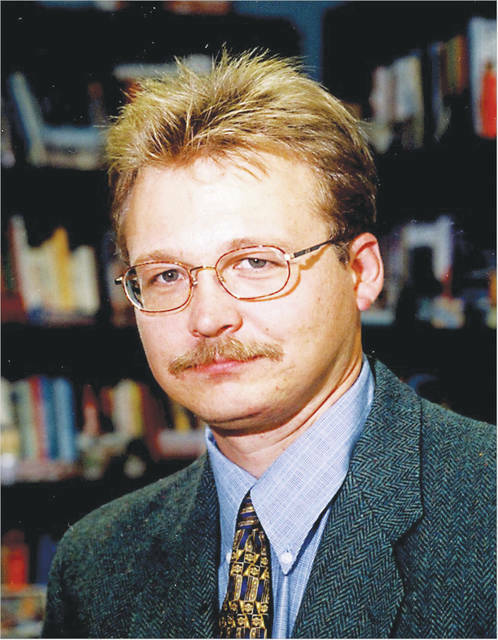 He also is the chair of OWU’s International Studies Program and an associate at the Mershon Center for International Security Studies at The Ohio State University. Kay presented general trends, what happened after the Cold War, what’s going on with Putin, and, lastly, what does this mean for the United States. There are many general trends of Russian foreign policy that scholars have found when examining Russia. These include a strong domestic link, centralized decision making without checks and balances, a deep fear of insecurity, and a deep fear of being surrounded by enemies. Russia is very skilled at creating a strong negotiating hand out of deep weakness, said Kay. It has capabilities to project a very good show of forces. Kay also said that not one cabinet within President Donald Trump’s administration has focused on the cyber attack on the United States in the 2016 elections. Trump also hasn’t criticized Putin. Kay also went into detail about the North Atlantic Treaty Organization (NATO). “I was surprised about the items said regarding NATO expansion in the 1990s,” attendee Joe Penzera said. As of now, many of the NATO alliance countries have pro-Putin governments, including Turkey and Bulgaria. Great Decisions 2018 is Delaware’s free community discussion series on current U.S. foreign policy. It runs every Friday at noon through March 23 at the William Street United Methodist Church, at 28 W. William St.
Kienan O’Doherty is editor of The Transcript, the student newspaper at Ohio Wesleyan University.